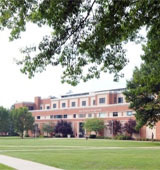 Rider University consists of five academic units: the the College of Business Administration, the College of Liberal Arts, Education and Sciences, the College of Continuing Studies, and the Westminster College of the Arts. A small community with many opportunities to grow, demanding classes, great dining halls, and its locale to other universities and access to NYC, Rider is a great university to spend your next four years. Describe the type of student who should not attend Rider University and explain why. Describe the type of student who should attend Rider University. Why? What is a typical Rider University student like? Describe the type of person that should attend Rider University. Anyone could attend Rider. It is a small community of friendly people. We have a lot of different people at Rider. We have theater, business, science, and education majors. What are the top 3 reasons someone should attend Rider University? What was a typical Rider University student like in high school? Describe the type of person that should attend Rider University. The type of person that should attend Rider is a person with time management skills because one needs to know how to balance their social life and academics. Students who wish to attend need to have a solid academic record and good test scores. Has a generous scholarship program. Rider University is a comprehensive private university of nearly 6,000 students who are drawn to its programs in business, education, liberal arts and sciences, and music and the fine and performing arts. Its academic experience emphasizes connected learning, leadership skills, a global perspective, social responsibility and a student-centered focus in all areas of study. Originally founded in 1865 as a business college to prepare professionals for the booming post-Civil War economy, Rider moved to its current 280-acre campus in Lawrenceville, New Jersey, in 1959. It is home to the College of Business Administration; College of Liberal Arts, Education, and Sciences; College of Continuing Studies; and School of Education. In nearby Princeton, N.J., is Westminster Choir College of Rider University, considered one of the leading schools of music of its kind in the world. The merger between Westminster Choir College and Rider in 1992 also led to the successful integration of the fine and performing arts University-wide with the creation of Westminster College of the Arts in 2007, which offers select majors on both the Princeton and Lawrenceville campuses. Centrally located between Philadelphia and New York, Rider's proximity to these centers of commerce, communications, culture and education offers graduate and undergraduate students alike the rich hands-on experiences they need to prepare for a professional career. Rider boasts a student-to-teacher ratio of just 12 to 1, and 96 percent of its faculty members hold the Ph.D. or terminal degree in their field. The University is accredited by the Middle States Commission on Higher Education and holds specialized accreditation with the Association to Advance Collegiate Schools of Business (AACSB), the National Council for the Accreditation of Teacher Education (NCATE), the National Association of Schools of Music (NASM), the Council for Accreditation of Counseling and Related Education Programs (CACREP), and the National Accreditation of School Psychologists (NASP). Rider is also on the approved list of the American Association of University Women and the American Chemical Society. What are the top 3 things that students do for fun at Rider University? 28% of students received Pell Grants, which are provided by the U.S. government to students from middle and lower income families. It gives you an idea of a school’s socio-economic diversity. Campus housing is available for undergraduates. Housing deposit : $300.00. Housing deposit due : May 1. Housing deposit is not refunded if student does not enroll.. Freshman allowed to have car. No pets. 56% of students live on-campus. 86% of freshman live on-campus. 5% of male students live in fraternities. 9% of female students live in sororities. A program that prepares individuals to organize and manage fine and studio art organizations, operations, and facilities. Includes instruction in business and financial management; marketing and fundraising; personnel management and labor relations; event promotion and management; public relations and arts advocacy; arts law; and applications to specific arts activities such as galleries, museums, studios, foundations, and community organizations. A program that prepares individuals to master the piano, organ, or related keyboard instruments and performing art as solo, ensemble, and/or accompanist performers. Includes instruction in piano and keyboard pedagogy, ensemble playing, accompanying, service playing, repertoire, keyboard and pedal skills, recital, and personal style development. A program that focuses on the humanistic and scientific study of rhetoric, composition, literacy, and language/linguistic theories and their practical and pedagogical applications. Includes instruction in historical and contemporary rhetoric/composition theories; composition and criticism of written, visual, and mixed-media texts; analysis of literacy practices in cultural and cross-cultural contexts; and writing program administration. A program that prepares individuals to master the human voice and performing art as solo and/or ensemble performers in concert, choir, opera, or other forms of singing. Includes instruction in voice pedagogy, diction, vocal physiology and exercise, expressive movement, repertoire, recital, and personal style development. Review individual applications for insurance to evaluate degree of risk involved and determine acceptance of applications. A program that focuses on the application of economics principles to the analysis of the organization and operation of business enterprises. Includes instruction in monetary theory, banking and financial systems, theory of competition, pricing theory, wage and salary/incentive theory, analysis of markets, and applications of econometrics and quantitative methods to the study of particular businesses and business problems. A program that generally prepares individuals to perform development, marketing and management functions associated with owning and operating a business. A program that focuses on employee-management interactions and the management of issues and disputes regarding working conditions and worker benefit packages, and that may prepare individuals to function as labor or personnel relations specialists. Includes instruction in labor history, policies and strategies of the labor movement, union organization, labor-management negotiation, labor law and contract interpretation, labor economics, welfare and benefit packages, grievance procedures, and labor policy studies. A program that focuses on biological and psychological linkages, especially the linkages between biochemical and biophysical activity and the functioning of the central nervous system. A program that focuses on the scientific study of the chemical components, mechanisms, structure, and movement of ocean waters and their interaction with terrestrial and atmospheric phenomena. Includes instruction in material inputs and outputs, chemical and biochemical transformations in marine systems, equilibria studies, inorganic and organic ocean chemistry, oceanographic processes, sediment transport, zone processes, circulation, mixing, tidal movements, wave properties, and seawater properties. A program that focuses on the creation, execution, transmission, and evaluation of commercial messages in various media intended to promote and sell products, services, and brands; and that prepares individuals to function as advertising assistants, technicians, and managers. Includes instruction in advertising theory, marketing strategy, advertising design and production methods, campaign methods and techniques, media management, related principles of business management, and applicable technical and equipment skills. A program that focuses on the theories and methods for managing the media image of a business, organization, or individual and the communication process with stakeholders, constituencies, audiences, and the general public; and that prepares individuals to function as public relations assistants, technicians, and managers. Includes instruction in public relations theory; related principles of advertising, marketing, and journalism; message/image design; image management; special event management; media relations; community relations; public affairs; and internal communications. Plan, direct, or coordinate activities designed to create or maintain a favorable public image or raise issue awareness for their organization or client; or if engaged in fundraising, plan, direct, or coordinate activities to solicit and maintain funds for special projects or nonprofit organizations. 86% of students graduated in the top half of their class. 52% of students graduated in the top quarter of their class. 20% of students graduated in the top tenth of their class. The average student pays $28,980 for tuition, fees, and other expenses, after grants and scholarships. Total stated tuition is $34,560, in-state and on-campus, before financial aid. Learn more about financial aid at http://www.rider.edu/onestop. Estimate the net price for you at http://rider.studentaidcalculator.com/survey.aspx. 55% of students graduated on time. 65% of students graduated in six years. 79% of full time students continued studying at this school after freshman year. The typical (median) early career salary of Rider University graduates is $42,200, according to Payscale. Rider University participates in the NCAA Division I-AAA for college athletics. Colleges: Is That a Dorm? Want more info about Rider University? Get free advice from education experts and Noodle community members.